This Americana oven door towel has different squares and while a few of the squares have heart flags, two of the squares have a barn. The other squares have the look of homespun fabrics. 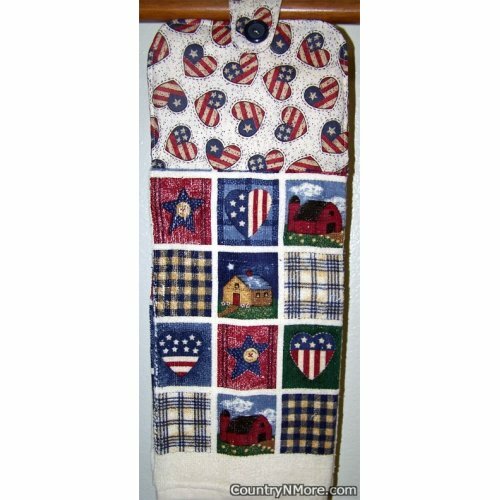 The top part of this hanging kitchen towel is made from patriotic hearts, which brings out the hearts in the towel. We use full length towels in our oven door towels.